Fish can recognize themselves in the mirror. Does that mean they're self aware? Fish may be much smarter than we give them credit for. A new study showed that they are able to pass a standard self-awareness test, being able to recognize their own image in the mirror. This not only forces us to reconsider fish intelligence — but also how we understand self-awareness itself. A cleaner wrasse, seemingly aware of its reflection. Image credits: Alex Jordan. It’s never easy to understand what an animal is thinking — or even if one is self-aware. This is why the mirror test has been designed: a simple behavioral technique attempting to measure self-awareness. The mirror test is a behavioral technique developed in 1970 by psychologist Gordon Gallup Jr. It involves surreptitiously marking an animal with an odorless dye and then observing if the animal is aware of the dye whenever it passes in front of a mirror. Surprisingly few animals have been proven to pass the mirror test, and it’s typically the “usual suspects” when it comes to animal intelligence — primates like chimps and bonobos, cetaceans like dolphins and orcas, and elephants. However, more recently, unlikely candidates have also passed the test. Magpies were the first birds to pass it, followed by pigeons. Some ants have also been able to pass a miniature version and most recently, a species of fish has also achieved this impressive task. 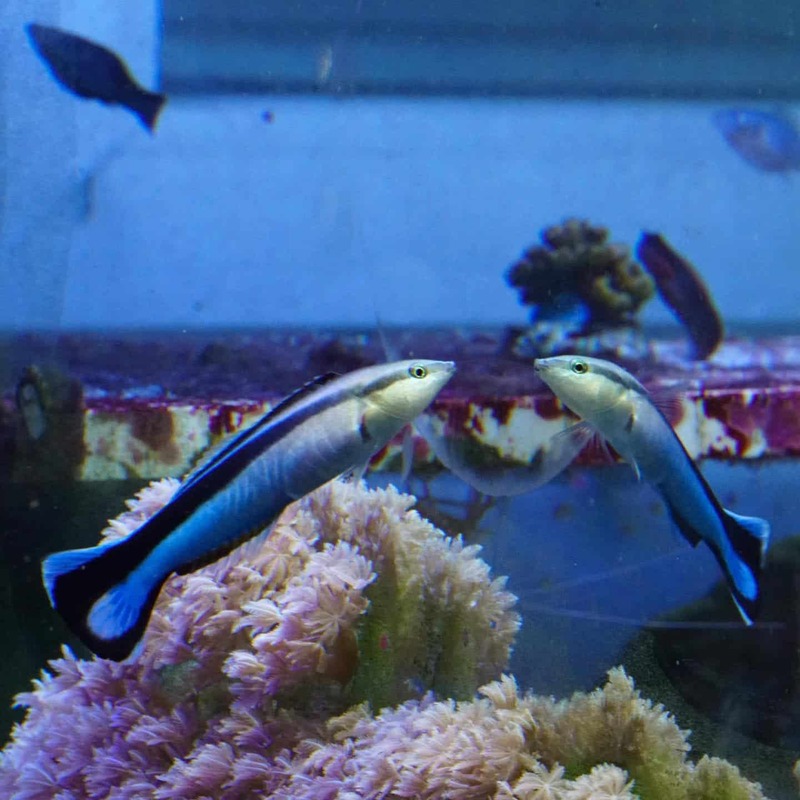 The cleaner wrasse (Labroides dimidiatus), responds to its reflection and attempts to remove marks on its body during the mirror test — indicating that this inconspicuous fish has far higher cognitive abilities than we suspected. The first report of this came in 2018. Now, a new study has confirmed this feat. However, researchers are unsure how to interpret the results. Is the fish really self-aware, or is this a shortcoming of the mirror test? “The behaviours we observe leave little doubt that this fish behaviourally fulfils all criteria of the mirror test as originally laid out. What is less clear is whether these behaviours should be considered as evidence that fish are self-aware–even though in the past these same behaviours have been interpreted as self-awareness in so many other animals,” says Dr. Alex Jordan, senior author on the study. Ultimately, this study raises an important question on our very understanding of self-awareness — what is it, really? Is it a black-or-white duality, or is it something more complex, with more shades of gray in between? Remarkably, a small fish is forcing us to address all these questions.